Beautiful furnished 2 bedroom condo with designer paint & unique interior touches- a MUST SEE! Pride of ownership- looks and feels brand new: Newly installed windows & sliding glass door! 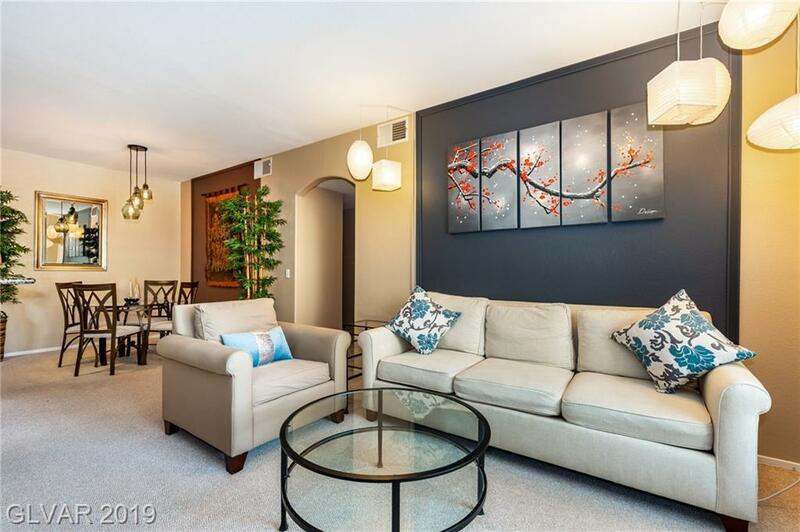 Location, location, location-easy access to I-215, 15 minutes to airport and to Town Square, an exit from Green Valley Ranch & The District, plenty of shopping across the street and schools. Includes a private garage with lots of storage space included. Directions: From I-215, Head North On Valle Verde, Turn Teft Into The Community.